Fabric: 40% Cotton, 30% Viscose, 30% Silk. Enjoy the tier detailing on this alternative style. 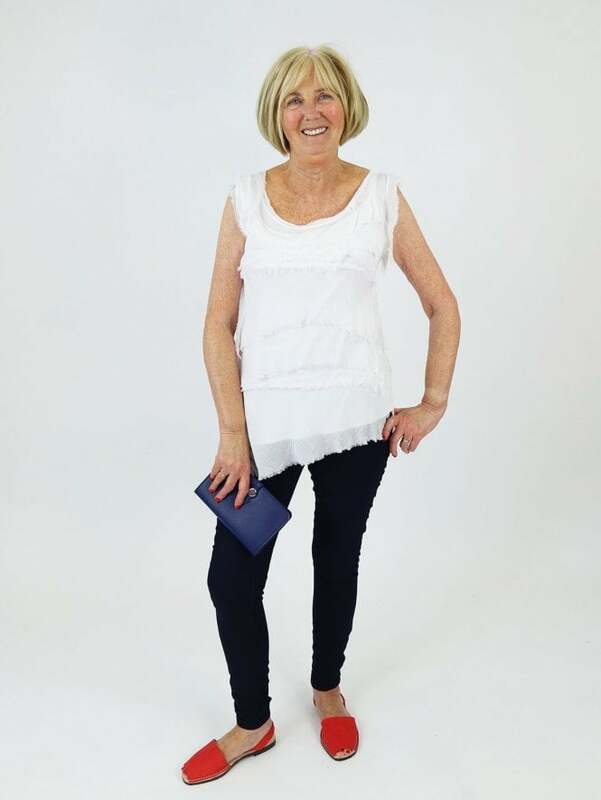 The Made in Italy Ventnor Frill Top features raw edge tier detailing with an asymmetric hemline and round neckline, This t-shirt style top is comfortable with stretch to fit comfortably with jeans or with the matching skirt to create the look of a dress!